Draft: 2014, Houston Astros, 4th rd. Daniel Joseph Mengden was originally signed by Astros scout Noel Gonzalez-Luna…graduated from Westside High School (Tex. )…played collegiately at Texas A&M. Was in the A's Opening Day starting rotation but was optioned to Triple-A Nashville following a mid-season stint on the disabled list before returning to Oakland in late August, working primarily as a long man in "opener" games…went 7-6 with a 4.05 ERA and .234 opponents batting average in 22 games, including 17 starts, in his third season in the majors and tossed 115.2 innings… was 5-11 with a 5.24 ERA, .265 opponents batting average and 115.0 innings in 21 starts over his first two seasons…struck out just 72 batters in 115.2 innings and his average of 5.60 strikeouts per nine innings was second lowest in the American League (Colon, TEX 4.98)…walked just 26 (2.02 per nine innings) and is averaging 1.99 walks per nine innings over the last two years (35 bb in 158.2 ip) after walking 4.13 per nine innings in his first season…went 6-6 with a 4.50 ERA in his 17 starting assignments and was 1-0 with a 1.83 ERA in his five relief appearances…did not allow a run in three of his five relief appearances and tossed at least four innings four times…surrendered just one home run in 19.2 innings of relief…allowed 15 of his 58 runs in the first inning for a 7.94 ERA and .343 opponents batting average…had a 3.38 ERA and .213 opponents average from the second inning on…had five home runs in the first inning, 13 after that…had a .285 opponents batting average and nine of his 18 home runs the first time through the lineup, .151 the second time and .281 after that…was 0-6 with a 6.70 ERA and .287 opponents batting average in 11 games against American League West competition, 7-0 with a 2.04 ERA and .188 opponents average in 11 games against all other teams…is now 1-12 with a 6.20 ERA (71 er in 103.0 ip) in 21 career games against the West compared to 11-5 with a 3.38 ERA (48 er in 127.2 ip) in 22 games against the rest of baseball…his only win against an AL West team came on Oct. 1, 2017 at Texas…has a nine-game winning streak in interdivision games (15 er in 82.0 ip, 1.65 ERA) and has not lost since May 29, 2017 at Cleveland…his opponents batting average broke down to .221 (44-for-199) against left-handed hitters compared to .244 (59-for-241) against right-handers… issued 20 of his 26 walks this year and 27 of his 35 walks over the last two years to righties…held the opposition to a .185 batting average leading off an inning and issued just three walks for a .211 on-base percentage…the on-base percentage was the lowest in the majors among pitchers with 100 or more innings and the batting average was fourth lowest in the AL…yielded a .293 average with runners in scoring position…13 of the 18 home runs he allowed were solo shots… was 3-4 with a 3.60 ERA in 13 games at home, 4-2 with a 4.87 ERA in nine games on the road… entered the season with a 6.43 career ERA in Oakland, 4.12 on the road…went 2-0 with a 1.93 ERA in two interleague starts…is now 4-3 with a 3.10 ERA (18 er in 52.1 ip) in eight career starts against the National League compared to 8-14 with a 5.10 ERA (101 er in 178.1 ip) in 35 games against the AL…tied for second among AL pitchers in sacrifice hits allowed (4) and tied for sixth in opponents reaching base on an error (8)…the A's won each of his five no decisions as a starter and were 11-6 (.647) in his starting assignments…are now 16-8 (.667) when he starts over the last two years…went 1-for-3 (.333) with a RBI and a strikeout as a hitter and is 2-for-11 (.182) with a RBI, walk and four strikeouts in his career. OAKLAND: Was in the A's starting rotation to begin the season and lost each of his first two starts on March 31 against Los Angeles (AL) and April 5 against Texas, compiling a 6.55 ERA…then went 6-2 with a 2.27 ERA over his next 10 starts from April 11 to May 31…picked up his first win on April 11 at Los Angeles (NL)…allowed a run in the first inning, snapping a 23.0-inning road scoreless streak…that fell two short of the Oakland record of 25.0 set by Gene Nelson (Aug. 21, 1989-April 25, 1990) and matched by Dennis Eckersley (June 5, 1990-April 16, 1991)…defeated Chicago (AL) on April 16 for his first career win in the Coliseum…it snapped a career-opening 10-game home losing streak, which is the longest career-opening home losing streak by an A's pitcher since Bobby Hasty lost 11 straight from Sept. 11, 1919 to Aug. 11, 1921…it is the second longest home losing streak in Oakland history and fell three short of the record of 14 set by Matt Keough from July 14, 1978 to Aug. 8, 1979…was 2-3 with a 4.68 ERA and .276 opponents average over his first six starts through the end of April…then went 4-1 with a 1.51 ERA and .181 opponents average in six starts in May…was one of four American League pitchers to win four games in May, had the second lowest ERA to the Astros Justin Verlander (0.86) and ranked fifth in opponents batting…had never won more than two games in a month in his career…the ERA was the lowest in a single month in his career and it was the second lowest May ERA by an Oakland pitcher over the last 30 years (Barry Zito, 1.32 in 2006)…allowed six runs, four of which scored on solo home runs…opponents went 4-for-25 (.160) with runners in scoring position…won four consecutive starts from May 15 to 31, which is the longest winning streak of his career… compiled a 1.20 ERA and .171 opponents batting average during the streak…had a career-high and A's season-high 25.0 inning scoreless streak during the winning streak…tossed 7.0 scoreless innings of two-hit ball May 20 at Toronto followed by a two-hit shutout in a 3-0 win on May 26 against Arizona…is just the second A's pitcher since at least 1908 with back-to-back scoreless outings of seven innings or more and two hits or fewer…the other is Bobby Witt from June 23-28, 1994…the complete game against the Diamondbacks was the second of his career…did not walk a batter and struck out five…his first complete game was also a two-hit, no-walk shutout (Sept. 15, 2017 at Philadelphia) and he joins Catfish Hunter and George Earnshaw as the only three A's pitchers since at least 1908 with two career two-hit, no-walk shutouts…walked two batters May 31 against Tampa Bay, ending a season-opening streak of 11 starts with one walk or fewer… that was the longest season-opening streak by an Athletics starting pitcher since at least 1908… had a streak of 12 consecutive starts with one walk or fewer dating back to last year, which was third longest by an A's starter since at least 1908 (excludes starters who pitched in relief in between)…went 0-2 with an 11.57 ERA and .333 opponents average in four starts in June…allowed nine home runs in just 16.1 innings after yielding six home runs over his first 12 starts and 74.1 innings…a career-high four of those home runs came in an 8-2 loss at Texas June 6…left his start on June 23 at Chicago (AL) after two innings with a sprained right foot…it was the shortest outing of his career as a starter…was placed on the disabled list June 27 retroactive to June 24 with the foot injury…made two rehab starts with Triple-A Nashville before he was reinstated from the DL and optioned to Nashville July 14…was recalled by Oakland Aug. 27 and made five of his final six appearances in relief…was 1-0 with a 2.52 ERA and .180 opponents batting average over that stretch…made his first career relief appearance Aug. 27 at Houston…entered the game to start the fourth inning with the A's trailing 5-4 and tossed 4.0 scoreless innings…pitched 4.2 scoreless innings in relief of Liam Hendriks (1.0 ip) on Sept. 4 against New York (AL) and allowed just one hit…that was the longest relief appearance by an Athletic in 2018 until his next appearance on Sept. 12 at Baltimore when he logged 5.0 scoreless and hitless innings while walking one in relief of Hendriks (1.0 ip)…it matched the longest hitless outing by a reliever in Oakland history (Zach Neal, Sept. 30, 2016 at Seattle)…made a start in his final outing of the season, allowing three runs on four hits in 5.1 innings in a no decision at Seattle Sept. 24. NASHVILLE: Was 4-1 with a 2.98 ERA in nine games, including eight starts…surrendered just two home runs in 45.1 innings, an average of 0.40 per nine innings…walked one batter or fewer in each of his nine appearances and issued seven free passes total, an average of 1.39 per nine innings…struck out 34 for a strikeout-to-walk ratio of 4.86…allowed a .231 opponents batting average, including .204 (22-for-108) against right-handed hitters compared to .279 (17-for-61) against left-handers…walked just one batter to lead off an inning and opponents hit .222 with a .255 on-base percentage and .289 slugging percentage…yielded a .202 average with the bases empty compared to .291 with runners on…opponents hit .303 with runners in scoring position, including .353 with RISP and two outs…went 3-0 with a 1.54 ERA in four games at Nashville, 1-1 with a 4.50 ERA in five starts on the road…was assigned to Nashville on a rehab assignment July 6 and pitched 3.2 innings for relief that day against Iowa for the win…started the second game of a July 13 doubleheader at Iowa and allowed four runs in four innings for the loss…was reinstated from the Oakland disabled list the next day and optioned to Nashville…went 3-0 with a 2.63 ERA over his final seven starts…tossed a minor league season-high 7.0 innings in back-to-back starts July 19 against Omaha and July 25 at Las Vegas…logged a season-low 0.2 innings July 30 at Salt Lake…struck out a minor league season-high eight batters in a 6-4 win over Sacramento Aug. 5… picked up his final win Aug. 18 at Colorado Springs…did not allow a run over his final two starts on Aug. 16 against Round Rock (6.0 ip) and Aug. 21 at Round Rock (4.0 ip) but had a no decision in each start. Combined to make just 18 starts between the majors and minors due to two stints on the disabled list…went 3-2 with a 3.14 ERA and .229 opponents batting average in seven starts over two stints with Oakland…was also 2-4 with a 4.17 ERA in nine starts with Triple-A Nashville and 0-0 with a 0.00 ERA in two starts with the A's affiliate in the Arizona Rookie League…walked just nine batters in 43.0 innings (1.88 per nine innings) with the A's for a .268 on-base percentage… went 0-1 with a 10.13 ERA and .371 opponents batting average in two starts during his first stint from May 29 to June 3…then went 3-1 with a 1.54 ERA and .189 opponents batting average in five starts after returning to Oakland Sept. 5 when the Sounds season concluded…his ERA during his second stint was fifth lowest in the American League over that span…his opponents batting average included a .187 (14-for-75) mark against right-handed hitters compared to .268 (22-for82) against left-handers…issued seven of his nine walks to righties.…went 0-1 with a 5.40 ERA in three starts at home, 3-1 with a 1.71 ERA in four starts on the road…is now 0-8 with a 6.43 ERA (40 er in 56.0 ip) in 11 career starts in the Coliseum compared to 5-3 with a 4.12 ERA (27 er in 59.0 ip) in 10 starts on the road…his eight-game career-opening home losing streak is the longest by an A's pitcher since Bobby Hasty had an 11-game streak from Sept. 11, 1919 to Aug. 11, 1921… it is the third longest home losing streak in Oakland history and the longest since Matt Keough lost nine straight from Sept. 27, 1981 to July 9, 1982…allowed a .176 opponents batting average with runners in scoring position…had a .179 opponents average the first time through the lineup, .257 after that…his career splits are .201 (35-for-174) the first time through the lineup, .305 (84- for-275) after that…had a 0.64 ERA in innings one and two, a 4.34 ERA from the third inning on… his career numbers are 1.93 (9 er in 42.0 ip) in innings one and two, 7.15 (58 er in 73.0 ip) from the third inning on…tied for fifth in the AL in complete games (1)…made five of his seven starts during the day…has made 11 of his 21 career starts in day games…the A's went 5-2 (.714) in his starting assignments after going 3-11 (.214) in 2016. OAKLAND: Began the season on Oakland's 10-day disabled list after fracturing his medial tibial sesamoid bone while throwing a bullpen at home Jan. 31…had surgery on his right foot Feb. 8 at Houston Methodist Hospital…the surgery, which involved a sesamoidectomy, was performed by Dr. Kevin Varner…made three rehab starts before he was reinstated from the DL and optioned to Nashville May 20…was recalled for the first time May 29 and allowed three home runs in 3.1 innings for the loss that day at Cleveland…it is the only time in his career he allowed more than one home run in a start…allowed four runs in 4.2 innings in his next start June 3 against Washington and was 0-1 with a 10.13 ERA in two starts when he was optioned back to Nashville June 3…returned to Oakland Sept. 5 when the Sounds season concluded and went 3-1 with a 1.54 ERA in five starts…including 2-1 with a 1.93 ERA in September…ranked fifth in the AL in ERA in September…tossed his first career complete game and the A's only complete game of the season, a two-hit shutout in a 4-0 win at Philadelphia Sept. 15…did not walk a batter to become the 14th pitcher in Oakland history to allow two hits or fewer in a shutout and not walk a batter…struck out seven while tossing a career-high 118 pitches…tossed seven scoreless innings in his next start Sept. 20 at Detroit for the first winning streak of his career…it was his first career victory in 10 starts during the day…did not walk a batter and joins Catfish Hunter (Sept. 5-9, 1974) and Bartolo Colon (May 26-31, 2013) as the only A's pitchers since at least 1913 with back-to-back games of seven or more innings and no runs or walks…did not allow a run in the first three innings of his next start Sept. 26 against Seattle for a career-high and A's season-high 19.0-inning scoreless streak…tossed seven scoreless innings to defeat the Rangers in the final game of the season Oct. 1 at Texas…finished the season with a 23.0-inning scoreless streak on the road, which is two short of the Oakland record of 25.0 set by Gene Nelson (Aug. 21, 1989-April 25, 1990) and matched by Dennis Eckersley (June 5, 1990-April 16, 1991). MINORS: Combined with Nashville and the A's Arizona Rookie League affiliate for a 2-4 record, a 3.69 ERA and .237 opponents batting average in 11 starts…the batting average broke down to .190 (15-for-79) against left-handed hitters compared to .277 (26-for-94) against right-handers… surrendered four of his five home runs to righties…yielded a .217 average with runners in scoring position…tossed more than five innings in just two of his starts…his first three starts with Nashville were on a rehab assignment from Oakland and he went 1-1 with a 3.38 ERA and .220 opponents batting average…tossed 3.2 innings in each of his first two starts but then struck out a season-high seven while allowing just one run in 6.0 innings in a 13-3 win at Fresno May 18… was reinstated from the Oakland disabled list and optioned to Nashville May 20…made one more start on May 23 against Omaha when he combined with Chris Smith on a three-hit shutout in a 10-0 win…tossed a season-high seven innings and allowed all three of the hits…was promoted to Oakland May 29…was optioned back to Nashville June 3 but did not pitch before going on the disabled list June 9 with a strained right oblique…made two rehab starts with the A's affiliate in the Arizona Rookie League, tossing 2.0 scoreless innings Aug. 4 against the Dodgers and 3.0 scoreless and hitless innings Aug. 9 at the Cubs…was reinstated Aug. 14 and went 0-3 with a 6.09 ERA over his final five starts with the Sounds…walked a season-high four batters in back-to-back starts on Aug. 19 against Iowa and Aug. 24 against Round Rock…matched his season high with seven strikeouts in just 4.0 innings on the 24th…yielded a season-high four runs on a seasonhigh eight hits in 5.0 innings in a 9-3 loss to Omaha on Aug. 29. Made his Major League debut with Oakland in his third professional season after beginning the year with no experience above Single-A…went 2-0 with a 0.78 ERA in four starts with Double-A Midland, 8-2 with a 1.67 ERA in 13 starts with Triple-A Nashville and 2-9 with a 6.50 ERA in 14 starts over two stints with Oakland…his ERA with the A's was second highest in the majors among pitchers with 70 or more innings pitched (Blair, ATL 7.59)…his .182 winning percentage was second lowest in the majors among pitchers with 10 or more decisions (Morgan, PHI .154) and sixth lowest in Oakland history…tied for fourth among American League rookies in games started and ranked 10th in innings pitched (72.0) and strikeouts (71)…went 0-7 with a 6.86 ERA in eight starts at home compared to 2-2 with a 6.06 ERA in six starts on the road…is just the third Athletics pitcher since at least 1911 to go 0-7 or worse at home…joins Tom Sheehan (0-7 in 1916) and Rip Coleman (0-7 in 1959)…tied for fifth in the AL in home losses…was 0-6 with a 4.50 ERA in six starts during the day compared to 2-3 with an 8.29 ERA in eight starts at night…is the first A's pitcher to go 0-6 or worse during the day since Diego Segui went 0-9 for the Kansas City A's in 1965…tied for fourth in the AL in day losses…allowed a .284 opponents batting average, which included a .283 (39-for-138) mark against left-handed hitters compared to .286 (44-for-154) against right-handers…combined for a 2.57 ERA and .225 opponents batting average in innings one and two…had a 9.00 ERA and .316 opponents average from the third inning on…yielded a .212 opponents batting average and one home run the first time through the lineup, .333 and eight home runs after that…opponents hit .300 with runners in scoring position but that mark dropped to .207 with RISP and two outs…held the opponents number five hitter to a .143 batting average, but then seven through nine hitters in the order combined to bat .353…was 1-4 with a 4.54 ERA in six starts before the All-Star Break, 1-5 with an 8.42 ERA in eight starts after the break…received 22 runs of support in his two wins (13.50 RSA) and just 18 runs of support in his other 12 starts (2.83 RSA)…the A's were 3-11 (.214) in his starting assignments. March 11, 2019 Oakland Athletics optioned RHP Daniel Mengden to Las Vegas Aviators. August 27, 2018 Oakland Athletics recalled RHP Daniel Mengden from Nashville Sounds. July 14, 2018 Oakland Athletics optioned RHP Daniel Mengden to Nashville Sounds. July 14, 2018 Oakland Athletics reassigned RHP Daniel Mengden to the minor leagues. July 6, 2018 Oakland Athletics sent RHP Daniel Mengden on a rehab assignment to Nashville Sounds. June 27, 2018 Oakland Athletics placed RHP Daniel Mengden on the 10-day disabled list retroactive to June 24, 2018. Sprained right foot. September 5, 2017 Oakland Athletics recalled RHP Daniel Mengden from Nashville Sounds. August 14, 2017 Nashville Sounds activated RHP Daniel Mengden from the 7-day disabled list. August 4, 2017 sent RHP Daniel Mengden on a rehab assignment to AZL Athletics. June 9, 2017 Nashville Sounds placed RHP Daniel Mengden on the 7-day disabled list. June 4, 2017 Oakland Athletics optioned RHP Daniel Mengden to Nashville Sounds. May 29, 2017 Oakland Athletics recalled Daniel Mengden from Nashville Sounds. May 20, 2017 Oakland Athletics optioned RHP Daniel Mengden to Nashville Sounds. May 20, 2017 Oakland Athletics reassigned RHP Daniel Mengden to the minor leagues. May 8, 2017 Oakland Athletics sent RHP Daniel Mengden on a rehab assignment to Nashville Sounds. April 1, 2017 Oakland Athletics placed RHP Daniel Mengden on the 10-day disabled list retroactive to March 30, 2017. Right foot surgery. September 3, 2016 Oakland Athletics recalled RHP Daniel Mengden from Nashville Sounds. July 26, 2016 Oakland Athletics optioned RHP Daniel Mengden to Nashville Sounds. June 11, 2016 Oakland Athletics selected the contract of Daniel Mengden from Nashville Sounds. May 1, 2016 RHP Daniel Mengden assigned to Nashville Sounds from Midland RockHounds. April 4, 2016 RHP Daniel Mengden assigned to Midland RockHounds from Stockton Ports. March 4, 2016 RHP Daniel Mengden assigned to Oakland Athletics. September 8, 2015 RHP Daniel Mengden assigned to Stockton Ports from AZL Athletics. September 5, 2015 RHP Daniel Mengden assigned to AZL Athletics from Stockton Ports. July 23, 2015 RHP Daniel Mengden assigned to Stockton Ports. May 23, 2015 RHP Daniel Mengden assigned to Lancaster JetHawks from Quad Cities River Bandits. April 17, 2015 Quad Cities River Bandits activated RHP Daniel Mengden from the temporarily inactive list. April 12, 2015 Quad Cities River Bandits placed RHP Daniel Mengden on the temporarily inactive list. 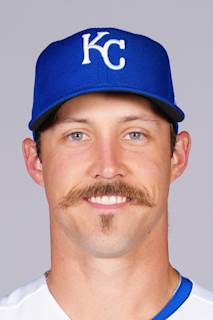 April 1, 2015 RHP Daniel Mengden assigned to Quad Cities River Bandits from Tri-City ValleyCats. March 9, 2015 Daniel Mengden assigned to Houston Astros. August 24, 2014 RHP Daniel Mengden assigned to Tri-City ValleyCats from GCL Astros. August 11, 2014 RHP Daniel Mengden assigned to GCL Astros. June 27, 2014 Houston Astros signed RHP Daniel Mengden.